PDF documents are still the preferred way to share documents for many. 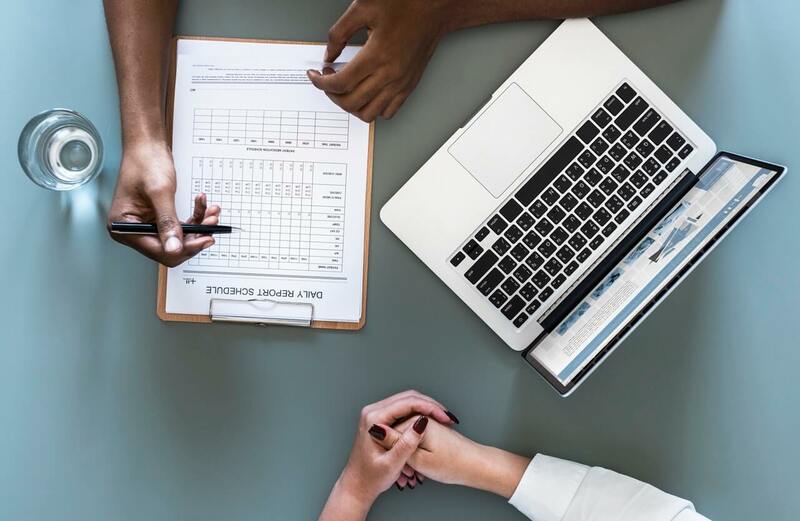 PDFs are more reliable, and the compatibility with almost every handheld devices makes it an ideal choice for professionals. Apart from sharing documents, PDFs are also used to conduct surveys, collect academic details and even for work purposes where a fillable PDF form is downloaded and sent back after filling the details. However, the problem is, not every PDF reader can create editable PDF forms or even let you fill the form. To make this happen, you need to use a PDF builder with features to create editable PDF forms along with other features like editing, signing and commenting on Portable Document Files. Today, in this article, we have pitted the best software to create editable PDF forms against each other to find the best of the lot. All the PDFs builder offer basic PDF editing features including fillable PDF creation. Do check them out and let us know your favorite in the comments below. iSkysoft PDF Editor staying true to its name offers all the features that are required to create an editable PDF form. In addition, it also comes with other sets of tools like the ability to convert PDFs, PDF password lock and OCR scanning feature. iSkysoft PDF Editor is a premium tool and comes in Standard and Professional edition. However, you can try the free trial which offers most of the features but puts a watermark. 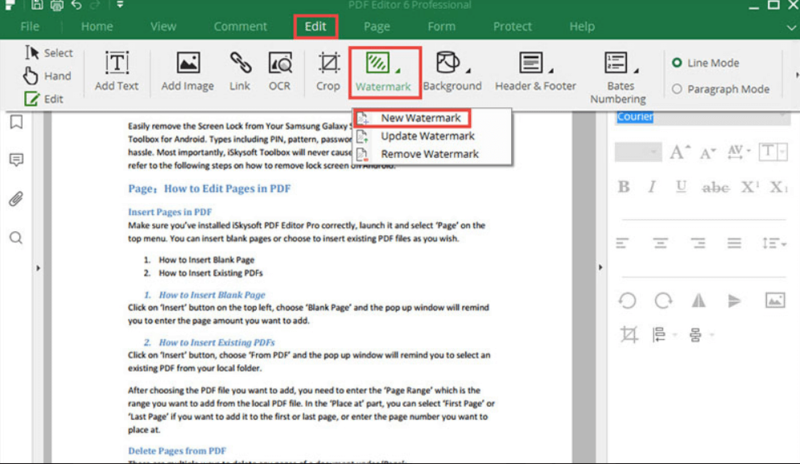 iSkysoft PDF editor enabled you to edit PDF text while preserving the formatting and also lets you edit the PDF content like images and pages with insert, replace, crop and extract options. If you want to work with scanned PDF, the OCR feature can extract data from any scanned PDF file. Other features include PDF markup, annotation, freehand drawing and stamp PDF that is useful to add business stamps. The PDF files can be protected using password and encryption. It can also convert PDF files into Microsoft Office formats as well. iSkysoft PDF Editor is a multi-function tool that involves a short learning curve but is reasonably priced. From creating fillable PDFs to editing, signing and sharing, Adobe’s Acrobat DC is an ultimate tool to do every PDF related task. While the Acrobat DC offers an extensive set of features, that subscription-based plans makes it affordable for business, but for individuals, the price tag may be a little hard to justify. Adobe Acrobat Pro DC consists of three main functions, Acrobat DC, Adobe Document Cloud and Adobe DC Reader. The first one enables you to edit PDFs, the second one keeps PDFs in sync in its cloud storage, and the last one is to read, print and sign PDFs. The Acrobat Pro DC can be used to convert Word, Excel, or PowerPoint files to PDF, scan as PDF, convert web pages to PDF and also merge multiple files or split a PDF. If you are wondering, it also comes with an option to create editable PDF forms. The PDFs can be shared over email through links, and the recipient can read it without using a PDF reader. It also has a free mobile app for multiple platforms. 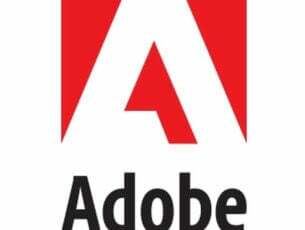 Adobe is the industry standard when it comes to PDF reader and builders, and if the price is least of your concern, take the free trial version that works without watermark for a spin. PDF Escape offers both online and desktop version of its PDF editor. It is one of the most cost-effective PDF editing solutions that come with monthly subscription along with a free trial for each plan. However, the plans are billed annually. The free version of the tool is limited by features but works without putting a watermark on your document. The premium version is available for Desktop as well as online. To edit or to create fillable PDF forms, log in to PDF Escape creating a free account. You can create a new PDF document or upload an existing PDF file. Begin with selecting the number of pages in the PDF file. 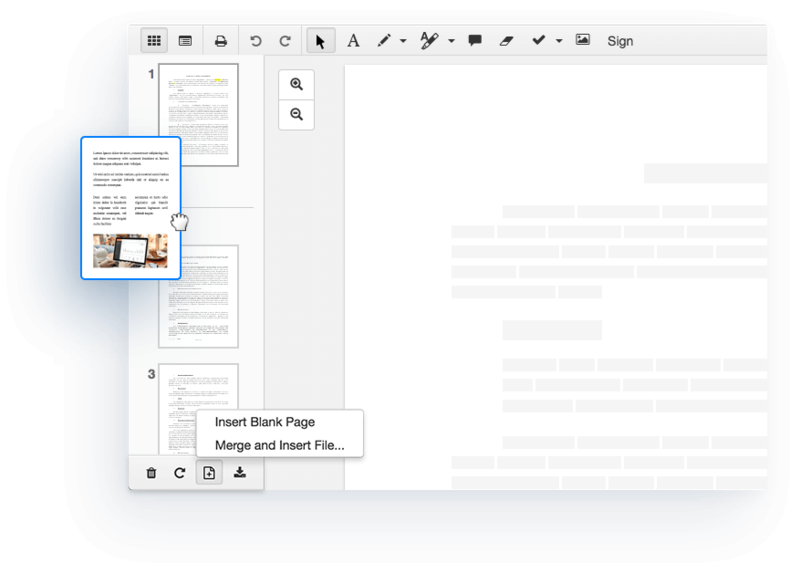 The editing layout is simple with insert, annotate and page tabs. The insert tab consists of text, image, link, form field, freehand, whiteout option while the annotate tab lets you add sticky notes, highlight texts, add shapes, etc. The page tab includes move, crop, delete, append and rotating option. The created PDF form can be downloaded to the local drive. The premium version of the tool comes with form publishing and response collection feature with no limitations on PDF sizes along with large storage space. Jotform is an online form builder that lets you create fillable PDFs online and publish them for response collection with email notifications. Jotform offers 4 plans one of them being free with limited features and Jotform watermark. The premium plan starts at $19 month. JotForms is a multi-functional tool, but we will be looking at the PDF editing capabilities. The service requires registration which is quick and easy. To create fillable PDF forms, begin with selecting a template like NonProfit donation or professional invoice, etc. The editing layout is simple with a useful number of features to work with. Editing the pre-made template is easy. Click on the area that you want to customize and change the text or image as per your need. If you want to add something, use the Add Element area that has Basic Elements and Forms Fields tab. Basic Elements enables you to add text, heading, image, etc while the Form Fileds lets you add billing information, contact details, invoice details, transaction details, and ToS. 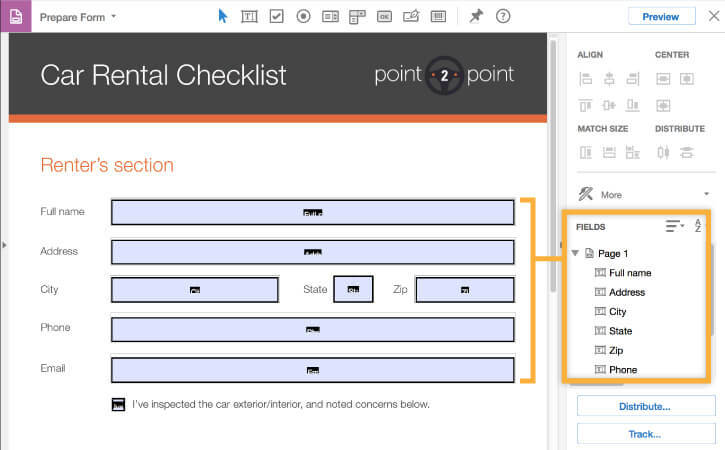 The edited forms are downloadable to your local drive but include JotForms branding at the bottom that can only be removed with premium subscription purchase. 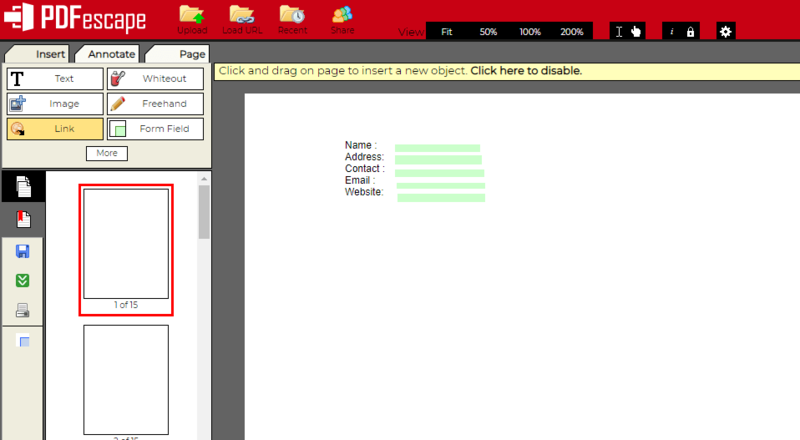 DocHub PDF editor is similar to JotForms and offers PDF publishing and collection response service. It comes in free and Pro version with some limitation on the former one. DocHub is a web-based tool so will only work on a web browser but available as an app on smartphones. It allows you to annotates documents, add fields, merge files, append pages and whiteout text. The editing layout is simple with all the tools displayed on the toolbar. It supports drag and drops functionality for adding almost any element to the document. 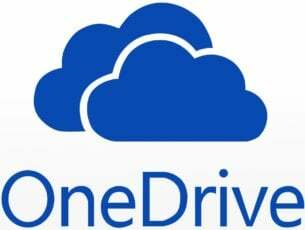 Google Drive and Dropbox integration mean the documents can be accessed from anywhere and on the device. The documents are automatically saved and can be shared with a URL. It is a multi-lingual service with SSL encryption protection. Apart from PDF, formats like DOC, PPT, XLS, TXT, DOCX, and PPTX are supported as well. Wufoo is more than just a PDF editor and creator. It is a form publishing platform that offers form creating options along with form themes with customization option, analytics, data export option, and SSL security, etc. The free version of Wufoo is limited by features and requires account registration to begin. The editing layout is simple with three tabs. Add a Field tab lets you add text, checkboxes, drop-down menus, number, add contact details, schedule, etc. The field setting lets you customize the added elements, and the form setting lets you change the letterhead, description, title alignment, language and add Google Analytics tracking which is a premium feature. Once the form is created, proceed with applying a theme and save the form. The created form can be shared via weblink, Facebook, Twitter, WordPress or APIs. 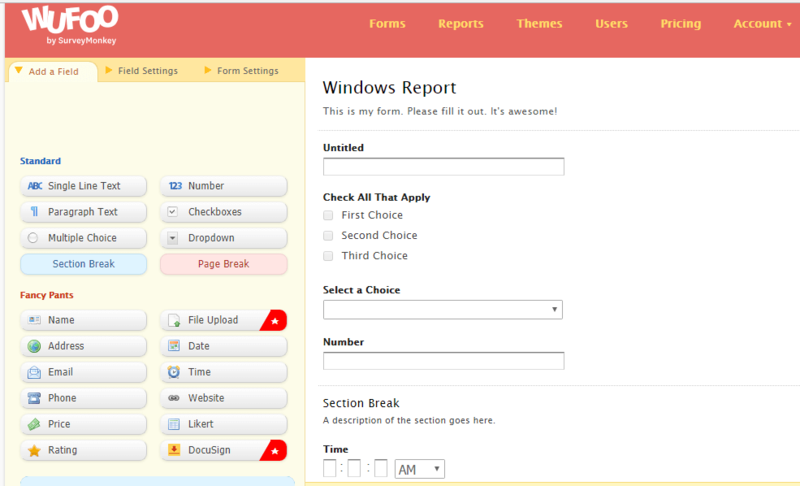 Wufoo form builder is an intuitive fillable form-creating tool, but the free account is limited to only 5 forms. Also, it seems to lack PDF download option at least in the free account. Whether you are looking for editable PDF forms to collect order payment, conduct online surveys, receive job application or to register a guest for an event, these PDF editors offer necessary tools to create a professional looking fillable PDF form instantly. Do give these tools a try and let us know which one is your favorite in the comments below.